Windows Dirty? You've found the right window cleaning company for the job! No matter how big or small your house is, or how many windows you have, we can reach them all. 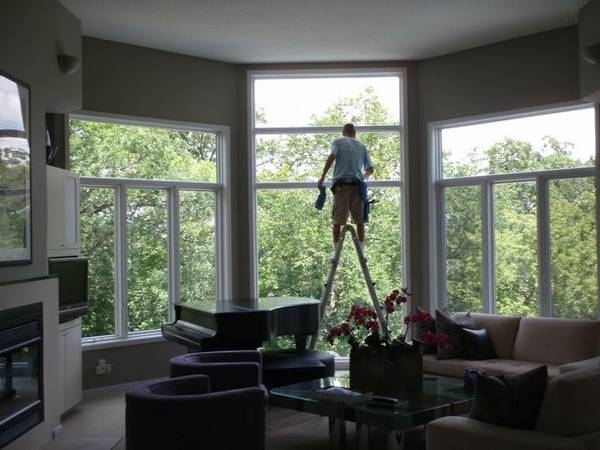 We have a a large assortment of ladders, and many years of window washing experience to do the job perfectly! If your siding, decks, driveways, or sidewalks are filthy, we have the ability to make them look new again! Your exterior won't stay clean forever, and we are easily able to help you stay on top of it. Let us take your dirt and grim off!